Immaculate Condo in Riverstone, near Downtown CDA! Beautiful 2 bedroom, 2 bath in the heart of Riverstone Village. Steps away from some of the best restaurants and shops that Coeur d'Alene has to offer and with the Centennial trail just feet away it's an easy bike ride or walk to downtown. The condo is fully furnished with everything one might need on vacation or for an extended stay. Enjoy a glass of wine or relax while watching whatever your heart desires on cable or the Apple TV, giving you access to all of the online streaming sites you have at home. The condo was clean and comfortable and the owner was so communicative and helpful. She made our stay very easy! We love staying at Riverstone and being right above the shops and movie theater and this condo didn’t disappoint. My only criticism is that the king bed is way too soft (for me) and trenched on one side. A mattress upgrade would be fantastic! Would recommend. Great space. Great owner communication. Clean. All the rooms were spacious. All the necessary supplies. Great location. Restaurants close by and easy to walk to. Several minutes drive to lake. And the owner was wonderful to work with, even letting us know if we could get into the condo early. Definitely would recommend and/or stay again! 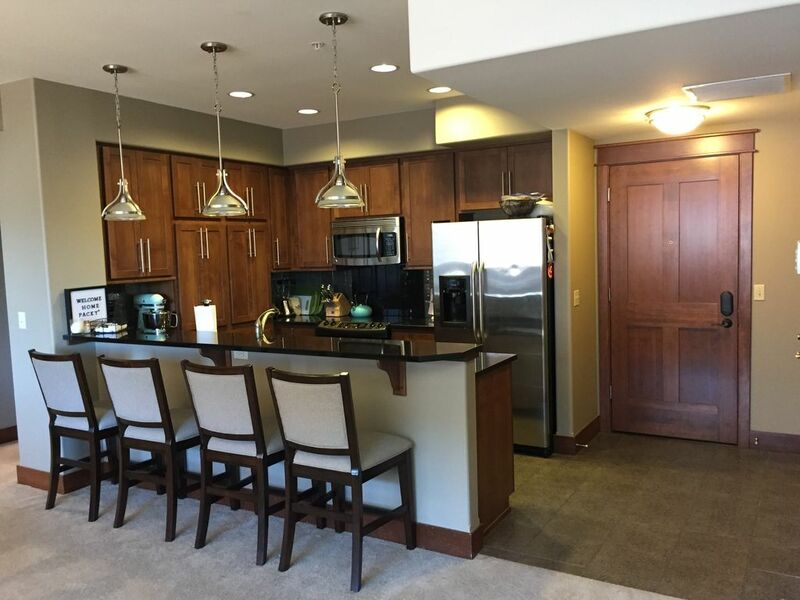 Nice condo in beautiful CDA! Great location, walking or bicycle to most things in CDA! Nice condo in a great complex with dining and trails nearby!